Join us every Wednesday evening @ 17H45 (Winter Months) & 18H00 (Summer Months) for our Time Trials. 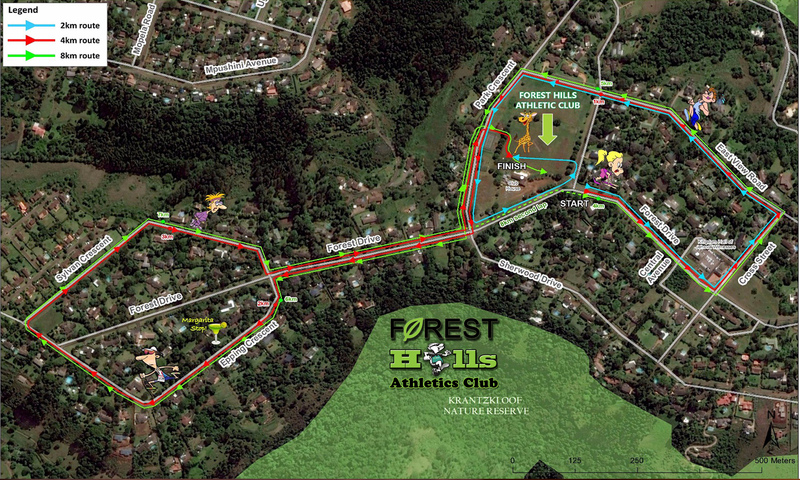 To accommodate beginners we have added an extra 2 km route to add to our existing 4 & 8 km routes as per image below. Most weeks you will find groups running social warm up runs before the time trials. Join us in the Club bar afterwards for an ice cold beer or cooldrink. Please check our Facebook page for updates on time (Winter or Summer) and special event Time Trials. There are usually runners having warm up runs from 17H00 before Time Trials.